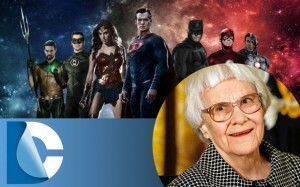 The death of noted author Harper Lee has thrown DC Entertainment into a panic as apparently the struggling comics behemoth had just signed a $50 million contract with Lee’s representative to plot out the next six DC movies. DC has been struggling to turn its iconic comic book characters into a profitable multi-film ‘extended universe’, delaying projects for years, making questionable casting and creative decisions, and generally failing to impress anyone. DC has also announced that the recent “New 52” overhaul, in which they rebooted virtually every comic title they publish, has been a “mistake” and that the company is seeking to re-reboot again. Harper Lee was an integral part of this strategy. DC has floundered as rival comic company Marvel has soared in recent years. With every record-breaking movie Marvel released, from Iron Man to Guardians of the Galaxy, DC executives tore their hair out and tried to reverse-engineer Marvel’s success. Critics have argued that DC’s real problems are limited creative vision and a total lack of understanding on the company executives’ part of what makes their heroes popular.